There is a time and a place for your hip flasks and to be honest, we think hip flasks at the fun fair are a yes! I mean why not?! 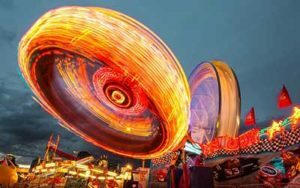 Especially Autumnal fun fairs where the weather can be a little sketchy and somewhat chilly. There is nothing better than being wrapped up nice and warm with friends and having fun at the fair. Hip flask in hand and a wee nip now and again can really keep the cold at bay. 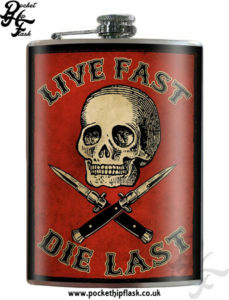 It doesn’t have to be cold for you to take your hip flask with you. They really are handy to have all year round. Not to mention they are much cheaper than the drinks you buy at the stalls. Why Take Your Hip Flask to The Fun Fair? There are several reasons, 2 of which I have already mentioned. First and foremost, why ever not. As long as you don’t overdo it and drink too much, drinking at the fair is good fun. Too much and well, you can imagine what happens as you go round and round and round…. not speaking from personal experience I have to point out! There is such a buzz from being at the fun fair. That buzz is heightened after a wee sip or 2 from your favourite flask. We would only recommend this if you are out with friends, not your kids as you may forget which ride you left them on…… Unless of course you take the grandparents! What Flask Should I Take to The Fair? Going to the fair can be a bumpy ride – every time we go I end up coming back covered in bruises from the rides somehow. I do bruise like a peach however, just in case it is not just me, I would advise leaving your beautiful pewter hip flask at home and opting for stainless steel as it is a little more fun fair durable. Depending on how much you want to take with you and if you are planning on sharing then there are lots of options for you. Small flasks to fit on your keychain and standard 6oz flasks that are perfect for your pocket. Now, the ladies have the best space to carry flasks as 99% of the time there will be a bag of some kind used to carry the essential (yes a hip flask is an essential). 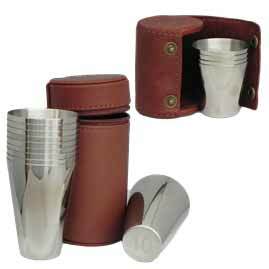 For these special ladies there is the option for larger flasks which are perfect for sharing. You can even get a cup set so that you can share and don’t have to drink direct from the flask. Sharing is caring and always so much better with friends and loved ones. Just remember folks – drink responsibly!